Your Home away from Home! Arrive as Guests, Leave as Friends!! 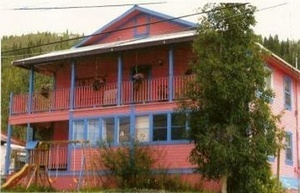 Juliette's Manor (Bed & Brunch) Inc., is your Home away from Home in the heart of the Klondike. Dawson City, Yukon, Gold Rush Capital of the World. Rooms starting at $105.00 with breakfast! 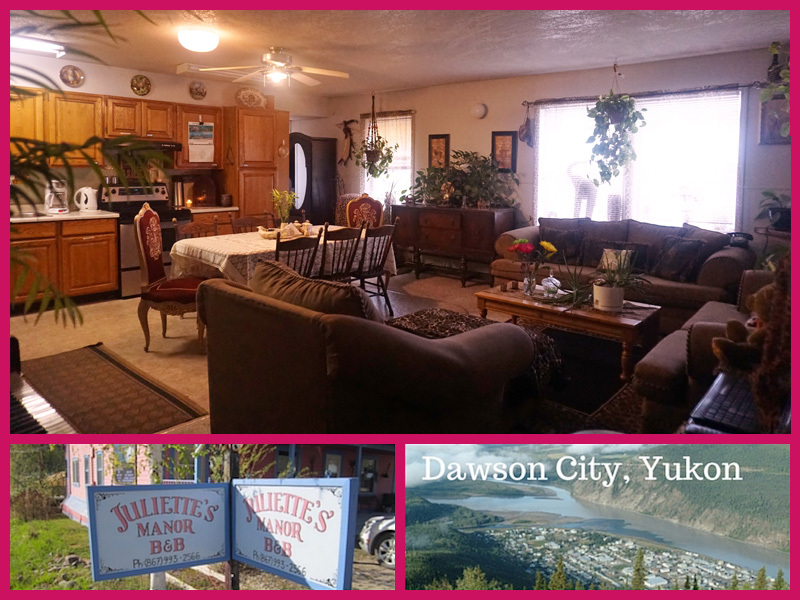 JULIETTE'S MANOR (BED & BRUNCH) INC.
Come and experience beautiful, rustic and scenic Dawson City with us! We are family owned and operated offering unforgettable northern hospitality. Open ALL YEAR ROUND. Come home after a long day of hiking, sight seeing tours, gold panning (we have shovels & pans) or gambling at Diamond Tooth Gerties (Canadas oldest Gambling Hall complete with Can Can Girls) and relax on our spacious deck complete with a BBQ, hot tub & sauna! Get up early or sleep in, you will always awake to coffee on the go! Daily Hot Breakfast Special or Continental Breakfast available. Centrally located in quite neighbourhood, walking distance to hiking trails, Robert Service Cabin, Museums, Diamond Tooth Gerties & more.. Planning on flying? Call us we will pick you up at the airport! Tired of eating out? Enjoy our kitchen & BBQ! Children under 6 stay for free!!! Limousine Packages. WINTER SEASON (SEPT- MAY) Ask us about our weekly rates!! Coming for work? Tired of being away from home? Cook for yourself in the fully equiped kitchen. Come to ours! We can pick you up from the airport. Sorry the BBQ, hot tub & sauna are unavailable during the winter season. All breakfasts include coffee, tea, juices & milk.